Journalists and website owners receive hundreds of pitches a day from PR’s, SEO’s and influencers. They are drowning in content, which is making the process of achieving quality coverage even harder than it used to be. According to Muck Rack, 76% of journalists now feel pressure to think about their stories potential to get shared on social networks. It’s only a matter of time before sites and publishers start giving their writers targets to meet that will involve social sharing, reach and engagements with their piece. This helps you because you can help them. Once your content campaign is live in all its glory (it’ll need to be good enough for a journalist to craft a story from but more of that in another blog post) you can then start to think about the dreaded promotion phase. Promotion will usually involve outreach, in bulk, to sites that you’ve identified as places where your target market visit online. Outreach can be a tedious and demoralizing process. You’re basically trying to stand out from the pile of requests to convince journalists that your campaign is worth covering as a story, why should they believe you? Why should they even bother replying? Giving them evidence that your campaign will perform well on social media will greatly help your chances. In fact, we’ve found that it can increase responses to 1 in 3 from 1 in 5. To supply the evidence, you’ll need to promote your piece from your brands social profile and boost it with a small advertisement budget. You’ll either need to target the audience of the publications you are looking to get coverage from or target a similar audience to theirs. This is easy using Facebook’s really detailed targeting options, target people who ‘like’ The Daily Mail for example or if you want coverage from football publications then target fans of The Premier League or specific clubs. 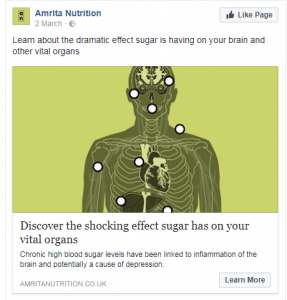 Start tracking performance like you would with any advert and then fingers crossed your post should start engaging this audience and achieving lots of shares, comments, likes etc. Screengrab all of this including the reach. Let the publishers know in your outreach attempts that you’ve targeted a small portion of their social followers and the post is really getting them engaging with the piece. Supply them with the screenshot as evidence along with any data and research they require to publish a story and there you have it. This is a really simple trick that will increase your response rates, make the journalist feel more comfortable with publishing your story and help you stand out from the hundreds of requests they receive each day. It makes their job easier. If it bombs on social, then you’ve probably missed the mark with your idea or execution and you need to revisit the campaign.